External pump from Iwaki, the world leader in small magnetically coupled centrifugal pump technology. 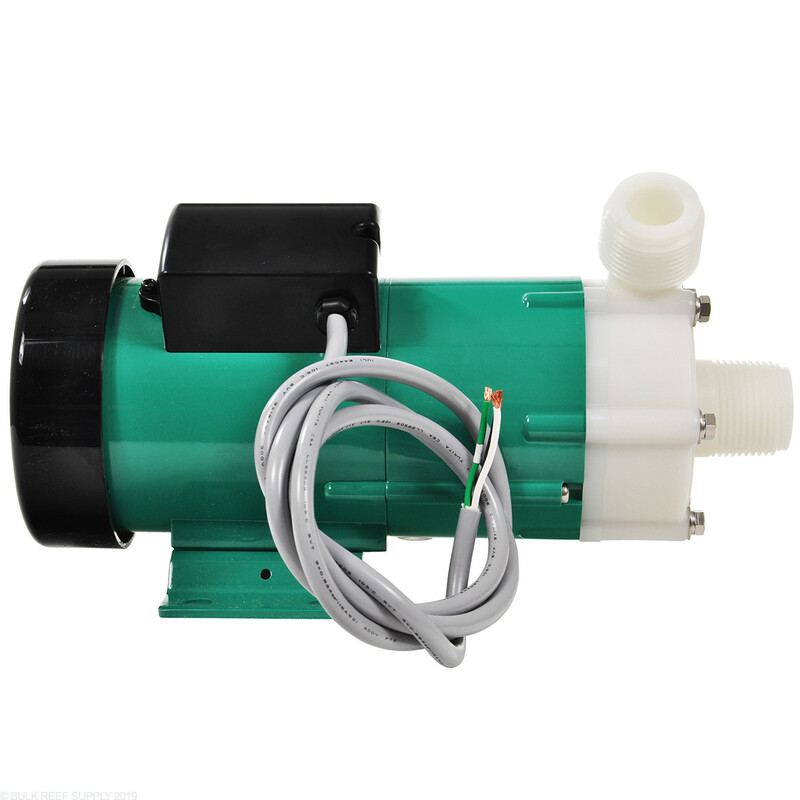 The Japanese-made motor is designed especially for aquatic applications. Super quiet and energy efficient with fewer parts. 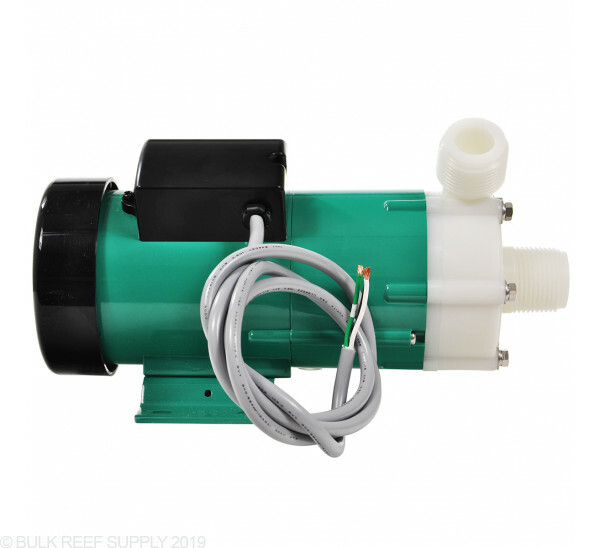 High-quality external pump with years of research and development behind its design. 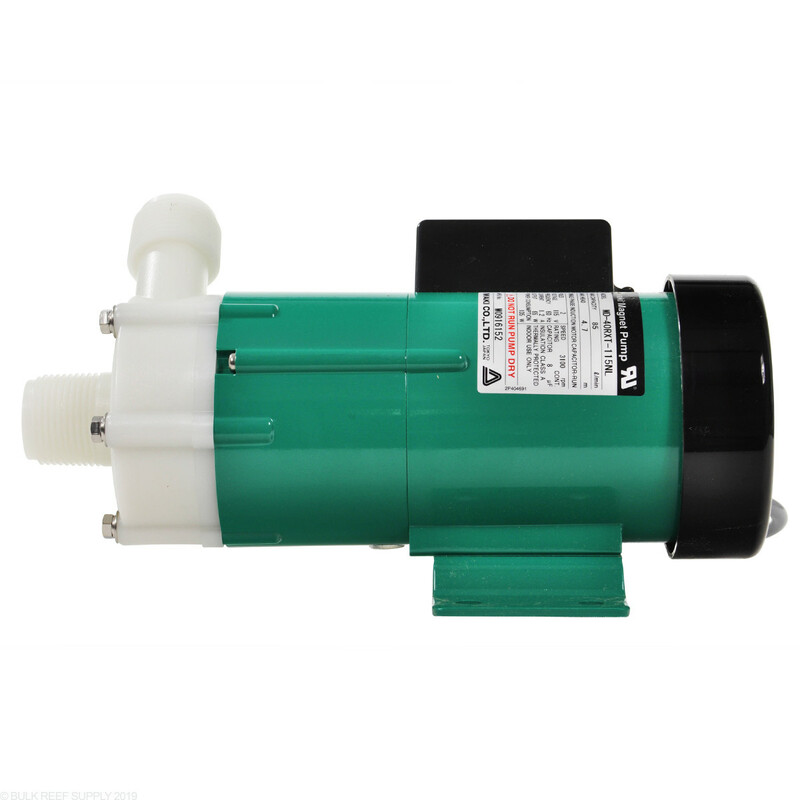 Iwaki pumps offer high-pressure rates in a durable, compact pump. Easily tailor pump applications because of the numerous motor/pump configurations. MD stands for Mag-Drive. Good pump, but has to be the loudest pump I’ve used ever. 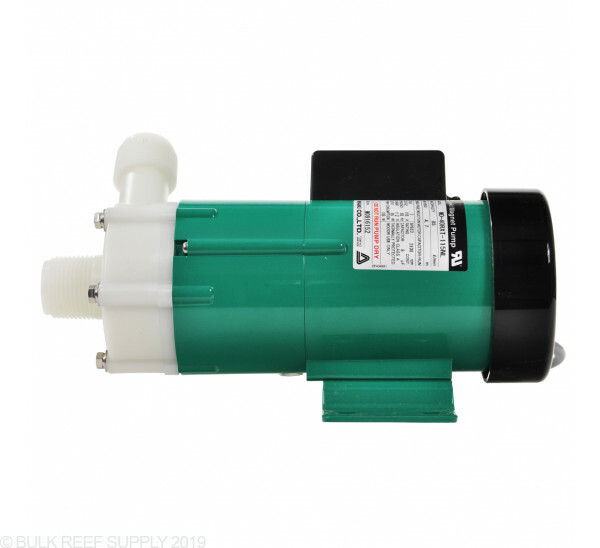 It's a great pump it works good on my 210gal tank .I'm very happy with the pump. very happy with this pump purchase. using it for by 210. great output. very quiet compared to a Pan World 50PX-X that I had initially purchased from my LFS . spend the money and be happy. I have two of these. One I bought 2 years ago and I just bought another one for a different application. Both pumps replaced older Iwaki American motor pumps that ran 13 and 15 years. I switched to Japanese because they are supposed to be even better. I can't remember when I had a different brand pump. As the website video says, the Japanese motors seem a little quieter than the American motors but both are of exceptional quality in my opinion. In the 15 years I had the American versions running (one for the skimmer, one for the return, I think I replaced an impeller once because it broke--something got into it; A different time I had a problem with calcium build up. (rookie move--Not properly maintaining Mg levels--I cleaned it and it was fine). I can't believe how long these pumps lasted. The one I just replaced was still working but was making noises and was very rusty--spilling/splashing salt water onto over the years and just being in the moist environment. I highly recommend these pumps. Gary. Replaced a loud power hungry pump with this one. Although this pump is rated at a lower flow than the old pump, the performance I'm seeing is equal or greater to the old pump. I replaced the old pump due to it's noise level. The pumps performance was constant, but the noise was getting worse and worse (loud humming that was there from the start). After installing the Iwaki, I'm seeing the power draw of the tank reduced by a 3rd even with the heater running more often, water temp is down by a degree, and now all I hear is the faint sound of the water moving through the system. If you can afford it, don't waste your money and your time, buy the Iwaki! Good pump but is a little loud. Was trying to find a quieter pump then my submergable, but this pump may even be louder. Going to try a little sound deading material. Even have the pump suspended in air so it's the pump and not the vibration. I really like this pump. I have never had an external pump before and I wasn't sure how loud it would be. I have been very happy with the performance and don't think it's too loud (my tank is in my dining room and the pump is not inside the stand). Good pump it moves quite a bit of water in my 125. It's still runs loud, but all in all it's a good pump.